June 17, 2015 By Clive Tonge There have been 64 pageviews. 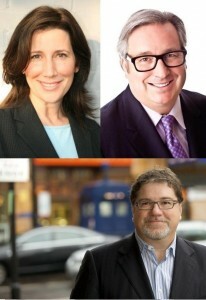 Direct from the Canadian Broadcasting Corporation’s flagship news programme, The National with Peter Mansbridge, join seasoned insiders Kathleen Monk, David Herle and Jaime Watt as they discuss one of the most exciting Canadian federal elections in decades in front of a live Toronto audience. Don’t miss the strategies, the possible outcomes and all the potential election intrigue. Kathleen Monk was the founding executive director of the Broadbent Institute. David Herle was managing co-chair for Ontario Premier Kathleen Wynne’s successful reelection campaign in 2014.